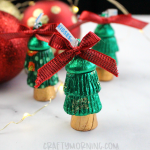 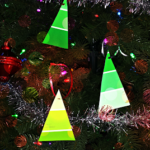 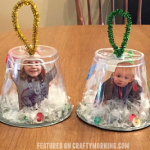 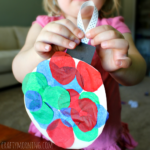 This brilliant toddler proof Christmas tree idea was made by Linda Elser for her daycare kids! 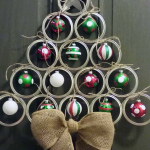 All you need is a clear space on the wall. 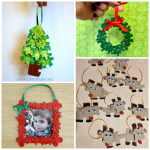 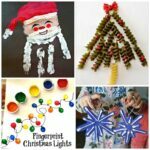 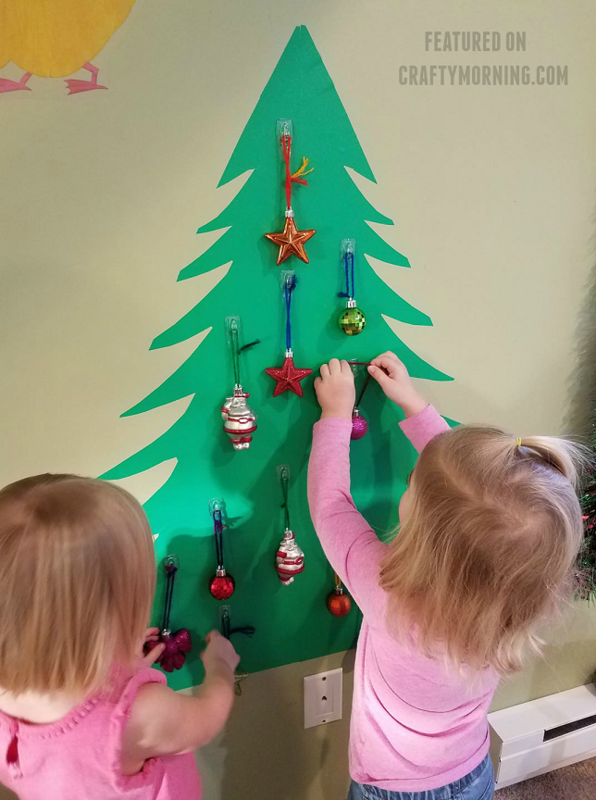 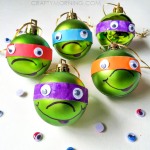 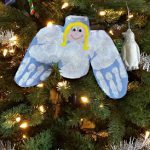 She said “Tree was cut from green contact paper, used little clear command hooks and a handful of unbreakable ornaments from Christmas past.” This is a great idea to keep your little ones busy and not to worry!